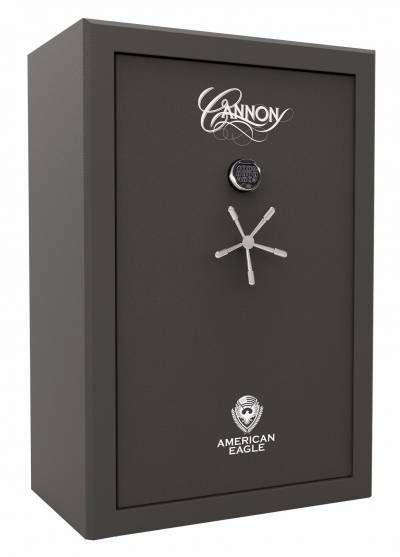 The Cannon Capitol Series 24-gun and home safe protects more than just your rifles. 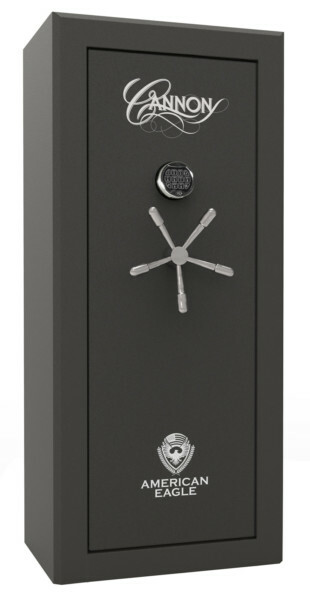 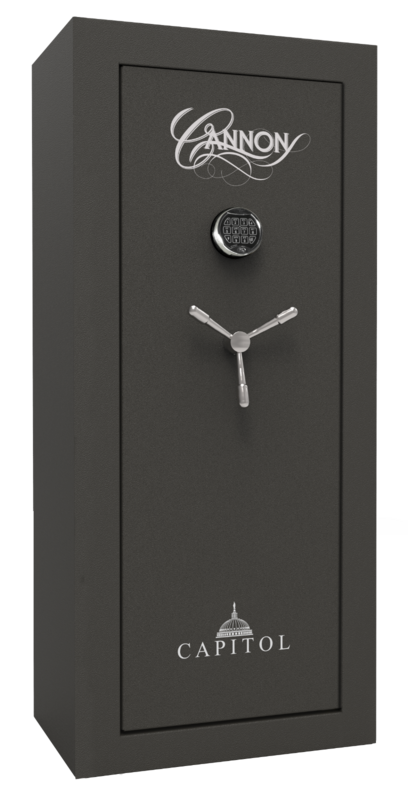 With this safe, you can rest assured your rifles, electronics, heirlooms, cash, paperwork, jewelry, and other valuables are safe and secure. 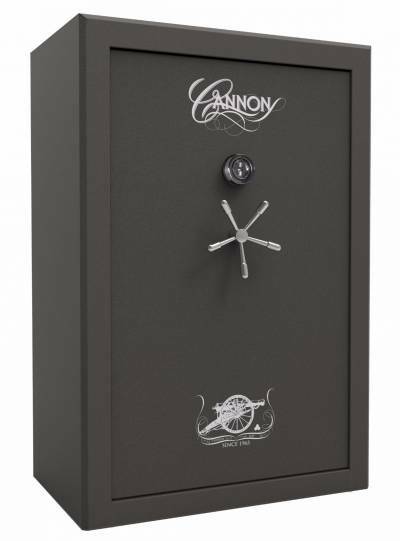 Backed by the Cannon Safe Lifetime Replacement Promise, the Capitol Series 24-gun and home safe is the best choice to securely store and organize your most prized possessions. 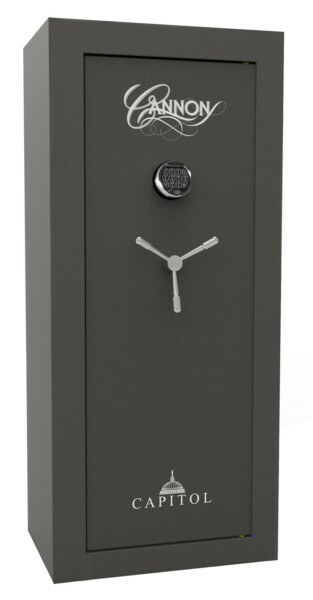 57.365" x 24.054" x 12.724"